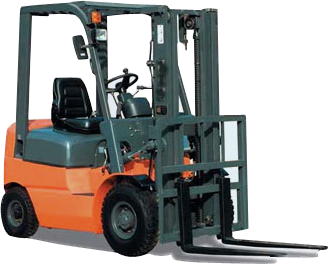 We offer a large inventory of "in-stock" parts ready to meet your immediate forklift needs.Complete line of industrial forklift seats for all make, model, and ages of lift trucks. All sizes of industrial forklift tires...Call for great prices. 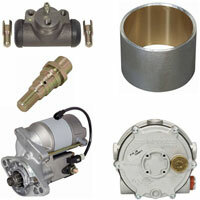 Bay City Forklifts parts department works hard to make sure you get the correct parts the first time. 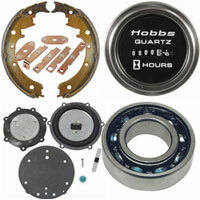 Filters, tune-up parts, engine overhaul kits, contact kits and electrical parts, radiators and other cooling parts, seats and all types of caster and load wheels, bearings, gaskets, seal kits, brake shoes, wheel cylinders and brake accessories. 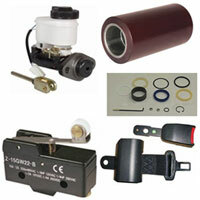 All safety related parts, horns, strobe lights, fire extinguishers etc. Please give us a call for an immediate quote with great prices.